Top-Quality After Building Cleaning Greenwich SE | RDA Cleaning & Maintenance Ltd.
Our service is an hourly based, post-renovation cleaning or the so-called contract construction clean-up. Usually, our competitive and reliable post renovation clenaning company in Greenwich SE helps customers after small or big repairs, constructions, DIY projects, redecorations and renovations at home or at the office. 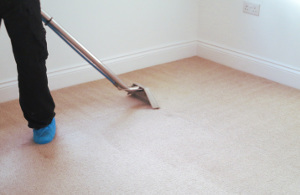 Our main purpose is to remove the industrial dirt, which hides a big risk for your health. Please, keep in mind that professional after builders cleaning is recommended due to the fact that getting rid of the industrial and post-renovation grime is at least twice harder and slower than dealing with regular cleaning and dusting. In most cases, industrial stains include paint, glue and other building materials, which are harsh to be eliminated. However, we can remove them and with natural and 100% environment-friendly products. RDA Cleaning & Maintenance Ltd. is synonymous with premium cleaning results, spotless houses and offices and good,reasonable prices. We care for the results we produce and we thoroughly train each of our cleaners. Our partner Prochem provide us with the best cleaning machines and supplies. To ensure that we get everything, but also keep you safe, we use 100% biodegradable detergents and cleaning supplies that lower allergic reactions by 95%. Now let us tell you few words about our reliable after builders cleaning company in Greenwich SE. RDA Cleaning & Maintenance Ltd. was started about 10 years ago when cleaning industry was still in its development progress. During this time we have learned how to satisfy each customer and how to find the most hard-working and skilful after builders cleaners. As a result, today we are proud of our great reputation and more than 15 thousand new happy customers per year. Most of them come to us by a recommendation from other happy and satisfied customers. That is why we do not need expensive advertising campaign or making promises that are impossible to be kept. All we do is to follow your requirements and to achieve the best hygiene standards. If you want a team of highly trained, motivated and insured cleaners, give us a call on 020 3404 1646 or use the online booking form now.